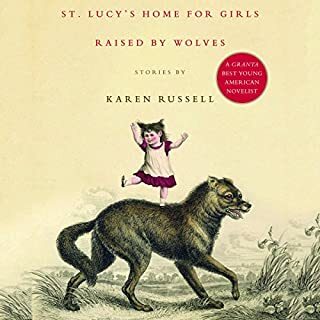 In the collection's title story, a pack of girls raised by wolves are painstakingly reeducated by nuns. In "Haunting Olivia", two young boys make midnight trips to a boat graveyard in search of their dead sister, who set sail in the exoskeleton of a giant crab. In "Sleepaway Camp for Disordered Dreamers", a boy whose dreams foretell implacable tragedies is sent to a summer camp for troubled sleepers (Cabin 1, Narcoleptics; Cabin 2, Sleep Apneics; Cabin 3, Somnambulists . . . ). 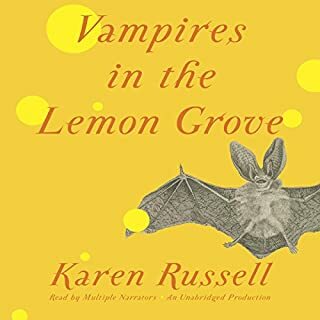 In the collection's marvelous title story, two aging vampires in a sun-drenched Italian lemon grove find their hundred-year marriage tested when one of them develops a fear of flying. In "The Seagull Army Descends on Strong Beach, 1979", a dejected teenager discovers that the universe is communicating with him through talismanic objects left in a seagull's nest. "Proving Up" and "The Graveless Doll of Eric Mutis" find Russell veering into more sinister territory. Predatory kraken that sing with - and for - their kin; band members and betrayed friends who happen to be demonic; harpies as likely to attract as to repel. Welcome to a world where humans live side-by-side with monsters, from vampires both nostalgic and bumbling, to an eight-legged alien who makes tea. Here you'll find mercurial forms that burrow into warm fat, spectral boy toys, a Maori force of nature, a landform that claims lives, and an architect of hell on earth. 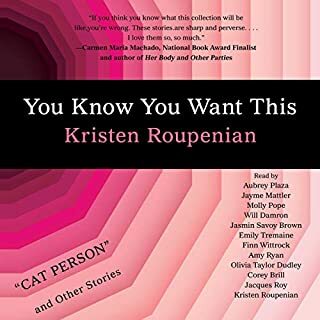 On the eve of her ninth birthday, unassuming Rose Edelstein, a girl at the periphery of schoolyard games and her distracted parents' attention, bites into her mother's homemade lemon-chocolate cake and discovers she has a magical gift: she can taste her mother's emotions in the cake. She discovers this gift to her horror, for her mother - her cheerful, good-with-crafts, can-do mother - tastes of despair and desperation. Tokyo resident Keiko Furukara has never fit in - neither in her family, nor in school - but when at the age of 18 she begins working at the Hiiromachi branch of national convenience store chain Smile Mart, she realizes instantly that she has found her purpose in life. Delighted to be able to exist in a place where the rules of social interaction are crystal clear (many are laid out line-by-line in the store's manual), Keiko does her best to copy the dress, mannerisms, and mode of speech of her colleagues, playing the part of a "normal" person excellently, more or less. 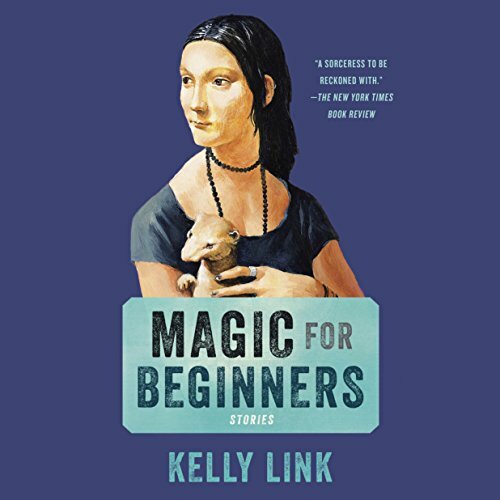 Perfect for fans of George Saunders, Karen Russell, Neil Gaiman, and Aimee Bender, Magic for Beginners is an exquisite, dreamlike dispatch from a virtuoso storyteller who can do seemingly anything. 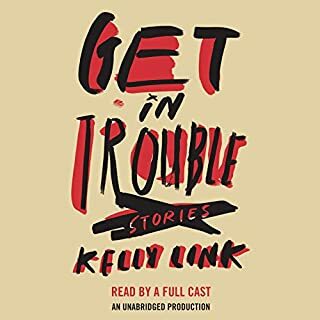 Kelly Link reconstructs modern life through an intoxicating prism, conjuring up unforgettable worlds with humor and humanity. These stories are at once ingenious and deeply moving. They leave the listener astonished and exhilarated. I’ve tried twice to listen to these stories. Sorry, not a fan and don’t understand the overwhelming praise. Loved these quirky, original short stories. They have a creepy undercurrent and a touch of magical realism. If you like writers like Neil Gaiman and Angela Slatter, you'll probably like Kelly Link. A couple of average stories. The rest are bad. Let me start off the with good parts. A couple of the stories in "Magic for Beginners" have lots of potential. "The Hortlack" was pretty good, having an eerie atmosphere, humor and intriguing characters. "Stone Animals" start off with a strong spooky premise, but falls apart at the end. Now for the bad parts. To get to the stories mentioned above, I had to get through the bad ones that had little or no redeeming qualities. I realize that many of these stories can be read a metaphor for deeper issues. However, the metaphors are so awkwardly implemented and the story/characters are so uninteresting that by the end, I don't care what the underlying message is, or even if one exists at all. Some of the stories are what I would consider to be absurdest. Stories such as "The Cannon", "Catskin", and "The Great Divorce" fall into this category. These stories are so poorly done, its almost like the author was using absurdity as a substitute for good writing. Almost none of the stories have a satisfying end, which isn't the worst thing in the world. But when the majority of the stories in a collection don't have a definite ending, its almost like the author just stopped writing when she got bored. The worst offender of these non-endings is "Some Zombie Contingency Plan". The tale was mildly interesting, but the author pulls an abrupt ending so far out from left field, I felt cheated as a reader. Not one of the stories we worth the time. All started out fine, and had my interest. I can't say they took weird turns, but they were just plain weird. None had any conclusions, they ended and left you with a big WTH. Don't waist your time ( like I did). Kelly Link never fails to wow me. I'm always loving and learning from her work. There's no doubt that Kelly Link is a talented writer and surrealist. 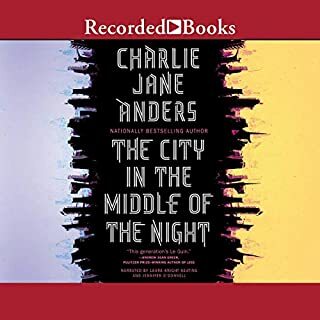 These stories are engaging, well-written, full of interesting characters, and interesting takes on literary structure, but most of them just didn't work for me. I really prefer more grounded fantasy. I also felt no emotional engagement with these works, other than a great deal of impatience. What would have made Magic for Beginners better? 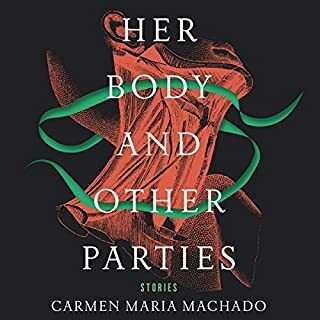 The title suggests that the stories are packed with magical realism but many are ordinary people doing very ordinary things, really kind of dull. What could Kelly Link have done to make this a more enjoyable book for you? There needs to be few more plot twists. I get this is a style, very New Yorker, but I was misled by the title thinking this was something else.